Home to the world renowned Princeton University, Princeton New Jersey is more than a fluctuating college town. Princeton has become a hub for major companies, such as Bristol-Myers Squib, Berlitz International, Black Rock, Tyco, Sarnoff, Covance, Merrill Lynch and Dow Jones & Company, and has been called one of the top 100 US towns in which to live and work in by Money magazine. Residents of Princeton enjoy living in a picturesque community, shopping locally and exploring the natural beauty of the area. Given the culture of academia that surrounds Princeton, it’s easy to forget that it is a mid-sized town. Aside from students, Princeton borough and Princeton township are home to about 30,000 residents. With an easy commute to both New York City and Philadelphia, it's no wonder many choose Princeton as home. 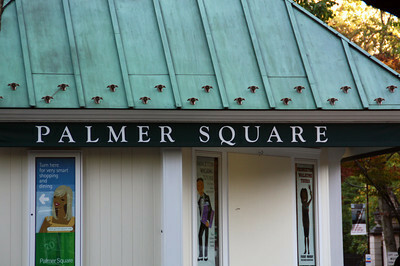 Across from Princeton University’s campus, shoppers can find familiar brands along with unique, local shops at the Palmer Square Shopping Center. Locating that one-of-a-kind item is easy for Princeton residents, if not in Princeton itself, then in New York City or Philadelphia, which are both a short train ride away. After a day of work or study, you can unwind with a pint of beer at Triumph Brewing Company or experience the ambience of the Yankee Doodle Tap Room Restaurant – a local favorite. Or, get your sweet fix at The House of Cupcakes, winner of Food Network’s “Cupcake Wars.” Foodies find both elegant, fine dining establishments like Elements, casual places to enjoy with loved ones, local bakeries and sweet shops. If you are craving Sushi then Sushi Palace is a wonderful place to go to in Kingston. Grocery stores such as Wegmans, Trader Joe's and Whole Foods Market are also nearby. Whether it be that hard to find item or those we use and eat every day, you're sure to find it. Hoagie Haven is well known for their large variety of delicious hoagies, serving Princeton since the early 1970's. The mix of high culture and small town means that residents of Princeton enjoy the best of both worlds: guest lectures and garage sales, theatre and tee ball games. There’s always something jaw-dropping at the Tony Award winning McCarter Theatre for the Performing Arts. Widely recognized as one of this country’s premier theatres, the McCarter Theatre produces around 200 performances and attracts over 200,000 visitors per year. Like any other town, the local recreation department holds a variety of sports camps and fitness classes throughout the year. The borough and township of Princeton jointly provide tennis courts, swimming pools, parks, playgrounds and athletic playing fields to the whole community of Princeton. In the summertime, locals head over to Lake Carnegie for fishing and picnicking, or maybe just to watch the Princeton crew team practice. The Princeton Tigers put on a number of sports camps for budding athletes and tickets to Tiger games won’t drain your wallet. 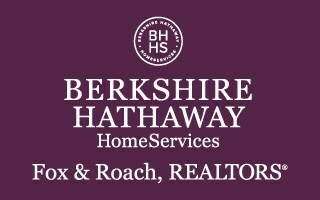 The Princeton and surrounding area offers a lifestyle from Condos to Estates. Aside from the schools, jobs, and shopping, real estate in Princeton is traditionally appealing because it is simply a desirable place to live, with lovely tree-lined streets, great schools, an incredibly vibrant art and culture scene, and of course Princeton University. From Nassau Street it’s only a ten minute bike ride to beautiful Carnegie Lake. Composed of two separate municipalities, the township of Princeton surrounds the Princeton borough. Princeton borough includes Nassau Street, the main commercial street and most of the university’s campus. Princeton University: It is a name synonymous with excellence and prestige. Princeton University is the fifth oldest college in the US, chartered in 1746, and a member of the Ivy League. Known as a very competitive school, Princeton University accepts only about 2,000 out of 26,000 applicants. Princeton community members are also eligible to audit classes taught by the incredible teaching staff at Princeton for a reasonable fee. In addition to Princeton University, the community boasts five other institutions: Westminster Choir College, Princeton Theological Seminary, a branch of Rider University, the Institute for Advanced Study, and Mercer County Community College. There are six public schools in Princeton (four elementary, one middle school and one high school), and many private (The Hun School, Chapin, Princeton Day School, Stuart and more), K-12 institutions. Be sure to visit our link for Princeton area private schools. Students and patients alike benefit from the excellent facilities and leading health scientists at the University Medical Center at Princeton. In 2010, UMCP was ranked among the top teaching hospitals by The Leapfrog Group. A 117-acre state-of-the-art medical campus, the University Medical Center of Princeton at Plainsboro offers a hospital with several medical offices attached, health and wellness facility, educational facility and much more. Princeton also offers an efficient transit system. In the Princeton Borough, commuters can hop on the Princeton FreeB, a free bus that makes a loop through the borough and stops at the NJ Transit Dinky train station. Passengers can ride the Dinky to Princeton Junction, and then catch a train to other metropolitan areas such as Philadelphia, Newark, and New York City. The Dinky to West Windsor trains is only 2.7 miles!